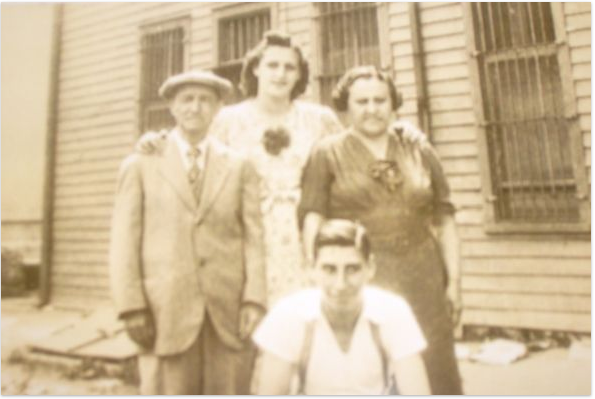 Picture of The Bellino Family, Lodi, New Jersey, possibly late 1940s or early 1950s .. From left to right, Grandpa Philipo Bellino, Mommy, Lucia Bellino, Uncle Tony, “Tony Bellino” and Grandma Josephina Bellino … Not pictured, Lucy and Tony’s sister Lilly and Brothers James and Frank Bellino. My Grandparents came to America through Ellis Island in 1904 from Lecara Freddi, Sicily, Italy … Lecara Freddi is the same town the Sinatra Family are from, as well as famed gangster Lucky Luciano. Lecara Freddi is not far from Corleone, about 17 miles. My Grandfather had a Shoemaker Shop on Main Street in Lodi, and my Grandparents, Mother, and my aunts and uncles.